If you require custom replacement windows and doors for your home or hi rise condo, we can professionally install them for you. 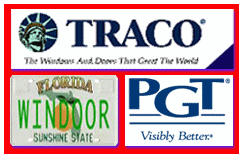 We are the premier replacement windows and doors company in South Florida featuring PGT, Windoor, and other name brand Impact resistant replacement windows and doors. This is the ultimate Hurricane protection available. Our Replacement Windows Rating? 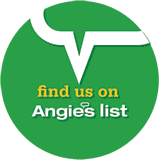 The highest rating available, and impact resistant to withstand Hurricane Force and storm force winds! For a fast quote forward us a simple length X height measurement in inches of all your openings and the style of windows and doors to, info@gulfatlanticindustries.com or FAX (305) 937-6280. 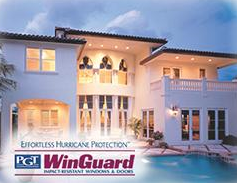 PGT® WinGuardTM Impact-Resistant Windows and Doors installed by Gulf Atlantic Industries provides your home with effortless, full-time storm protection against flying debris and hurricane-force winds. 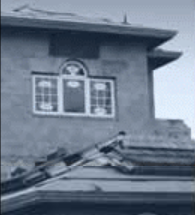 Windows Engineered to Meet Hurricanes Head-On Hurricane Andrew, which caused such massive damage to Florida in 1992, taught researchers that violent winds alone are not the major cause of window failure. The real cause is flying objects. As a result, codes for hurricane protection now focus on impact protection for windows and doors, not just wind velocity. 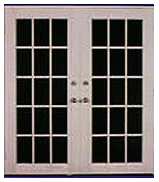 PGT WinGuard Impact-Resistant Windows and Doors combine heavy-duty aluminum frames with impact-resistant glass. 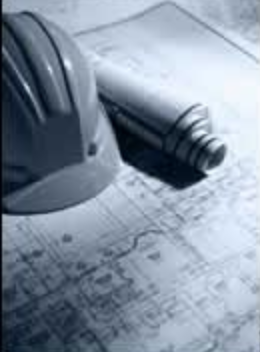 A special silicone glazing process keeps the glass from breaking away from the frame. 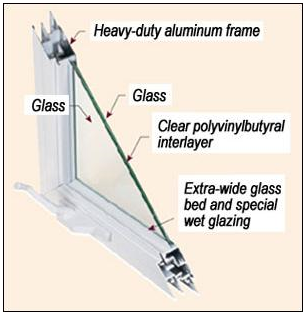 Although the glass may crack on impact, the interlayer keeps the glass intact, preventing destructive wind from entering your home. 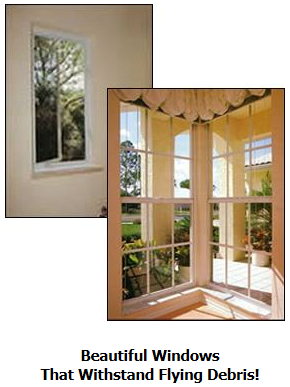 Impact-resistant storm windows are comprised of two glass panes bonded with a special inter layer of clear polyvinylbutyral. 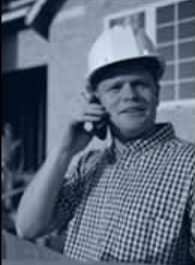 Similar to auto windshields, it provides amazing protection against flying debris. Remodel and improve your home with Impact Resistant Replacement Windows and Doors – to protect against the wrath of mother nature and mankind. 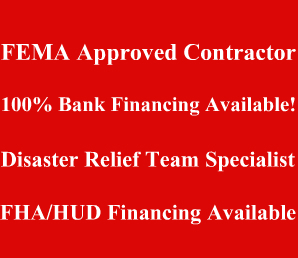 We are hurricane preparedness specialists. 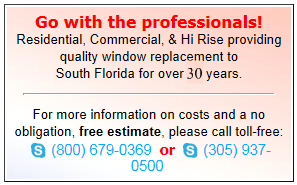 Choose from a variety of window and door styles & colors that meet the strictest South Florida Building code requirements. Let us replace your home’s windows and doors with hurricane impact resistant windows and doors to provide your home with effortless, full–time protection against flying debris & hurricane force winds. 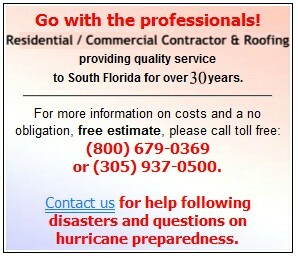 There is no need for panel, accordion, or roll down shutters, plywood or other hurricane protection devices. Let the storm howl! Your family and home are protected, even while you’re away, impact resistant replacement windows & doors protect your residence against hurricanes & intruders while reducing exterior noise & providing UV protection. Safeguard your home and prepare for hurricanes without lifting a finger by asking for Hurricane Impact Windows & Doors. 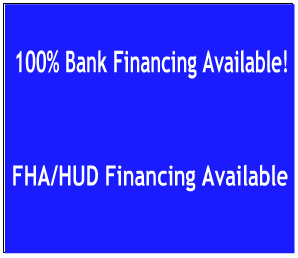 We service Miami and surrounding areas in South Florida, including Fort Lauderdale, and West Palm Beach metropolitans located within Miami-Dade County, Broward County, and Palm Beach County. 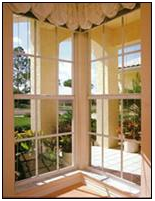 We ship and perform installations of windows and doors throughout the Caribbean Islands.